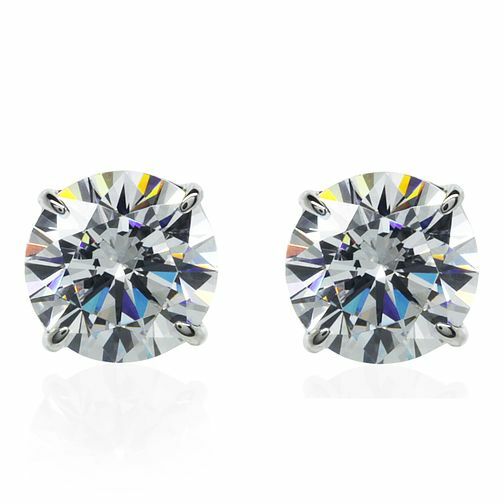 An eternally classic pair of 9ct white gold stud earrings, adorned with a single glittering Carat* stone in each stud. The post of each earring has a double notch to cater for different ear shapes and is known to give greater comfort. CARAT* blends timeless glamour with modern day wearability to deliver luxuriously fine jewellery.